Lent: In the early church, Lent was a time to prepare new converts for baptism. Now it is a time when many Christians prepare for Easter with a period which includes self-examination, reflection and maybe fasting or self-denial (often giving up something like chocolate or social networks!) but can also be the giving of what is precious to most people - time. Time to volunteer to do something, to make a phone call or visit to someone ill or lonely - just the giving of self for others. The forty days represent the time Jesus spent in the wilderness fasting and praying in solitude while enduring the temptations of Satan. Palm Sunday: This is the Sunday before Easter and marks the beginning of Holy Week when we particularly remember the last week of Jesus' life. Small palms will be given out in our Church. These symbolize the triumphant entry of Jesus into Jerusalem when as He rode into the city on a donkey, the people who had gathered to celebrate the Jewish Festival of Passover waved palms, covered His path with palm branches and shouted "Hosannah! Blessed is He who comes in the name of the Lord"
Maundy Thursday: The name "maundy" is derived from the Latin word " mandatum" which means a commandment. During the Passover meal, Jesus took bread and wine and shared it with His disciples. We continue to share bread & wine in our Church Communion Services and as in our Maundy Thursday Service. It was also later on this Passover celebration night that Jesus was betrayed by Judas in the Garden on Gethsemene. 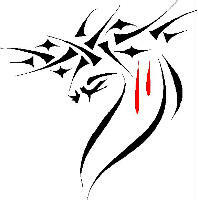 Good Friday: We remember the day when Jesus was crucified on a cross at Calvary. It is the most solemn day in our Christian calendar. After His betrayal, Jesus was arrested and tried in a mock trial under Pontius Pilate. He was then handed over to the Roman soldiers and was beaten and flogged with whips. Given a purple robe to wear and with a crown of sharp thorns placed on His head, He was made to carry His own cross outside the city. Jesus was then nailed to the cross by His hands and feet. 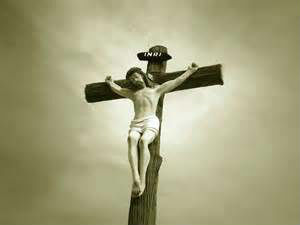 Two criminals were also crucified on crosses either side of Him. Pilate had a notice which read "Jesus of Nazareth, the King of the Jews" put on the cross above Jesus. Lent ends after Good Friday when Christians remember the execution of Jesus on the cross and before Easter Sunday, the most important day of our Christian calendar when there is celebration of the rising of Jesus Christ from the dead three days after His crucificion. Easter Sunday: Hallelujah! He is risen! The Resurrection: After Jesus was crucified, his body was taken down from the cross and Joseph of Arimathea with Nicodemus were allowed to take the body which they wrapped in linen and spices. They placed the body in a new empty tomb in the garden near where Jesus had been put to death and an enormous stone was placed so as to seal the entrance. On the Sunday, three days after the crucifixion, Mary Magdaline went to the tomb and found the stone had been taken away. Distraught, she informed the disciples who then entered the tomb which was empty but still held the linen wrappings and head cloth of Jesus. After they had gone away, Jesus appeared to a weeping Mary then later that day to the disciples who afraid of the Jewish authorities, had gathered behind locked doors. During the next forty days, Jesus was seen again by the disciples and many other people.